The holidays are meant to be filled with hope and joy, time spent with family and friends as we celebrate the love we have for one another. But for families with loved ones on hospice, this Christmas season may be one of their most difficult. These families understand that this may be one of the last Christmases they spend with their loved one. Time-tested traditions are likely changing and perspectives shifting as they work to find joy during an uncertain time. Whether you know a family currently experiencing an end-of-life journey or not, you can lend crucial support through prayer. Here are three specific ways you can pray for these families as you gather with your own loved ones this holiday season. 1. Pray for quality time. For families with loved ones receiving hospice care, time is the one thing they want—and need—more than anything. Pray that the time they spend together is a peaceful time that brings joy to both the hospice patient and the family. Pray that they’re able to experience the joy of Christmas even in little moments together. 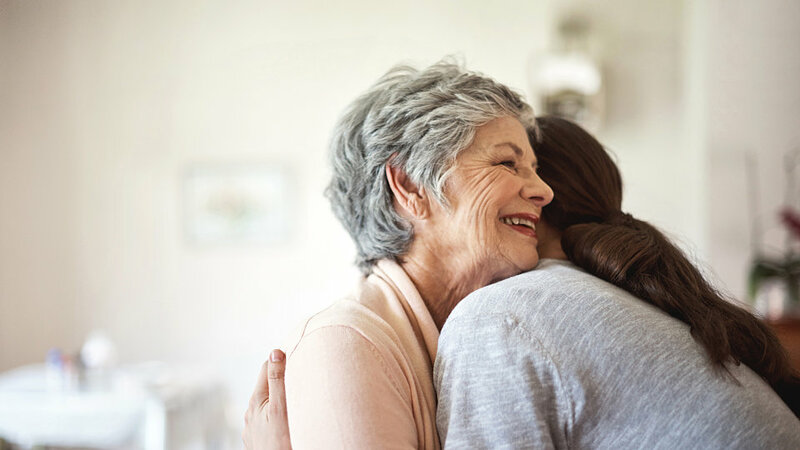 Oftentimes family members of loved ones on hospice care travel from across the country during the holidays to spend time with their loved one. Pray that these family members arrive safely in order to minimize stress and maximize time together. Families with loved ones on hospice care know this Christmas may be the last they spend with their loved one. Pray that necessary conversations are had and questions are asked so that each member of the family can walk into the new year with a deeper appreciation for their loved one and a greater peace for whatever the weeks ahead may hold. For more information on hospice care through Buckner and how you or your church can support local families walking through an end of life journey, contact us at 1-800-381-4551.